Mrs. Mormile brings to MSW Consultants twenty years of experience working in the solid waste industry for public sector and non-profit and commercial organizations. Her experience encompasses all aspects of a vertically integrated collection, disposal and recovery solid waste utility. 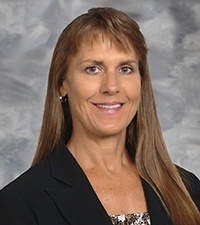 She has the unique understanding of all facility operations, including planning and budgeting, personnel management, procurement/contracts, and capital projects; landfill operations including regulatory compliance, heavy equipment, subtitle D and bioreactor disposal; collections including rolling fleet and routing; and recovery including waste analysis, minimization and sustainability programs. Before joining MSW Consultants, Mrs. Mormile served as the Solid Waste Utility Manager for the City of Columbia (Missouri), where she managed the operational and financial aspects of residential and commercial trash and recycling collections, a regional subtitle D and bioreactor landfill, a compost facility and material recovery facility (MRF). Her responsibility included managing over 110 employees, 34 routes, 750 ton per day landfill, 13,000 ton per year MRF and 720-acre site. Mrs. Mormile is also an active member of multiple public works/solid waste and recycling trade associations.